Rubbermaid 42-Piece Easy Find Lid Food Storage Set Just $19.99! 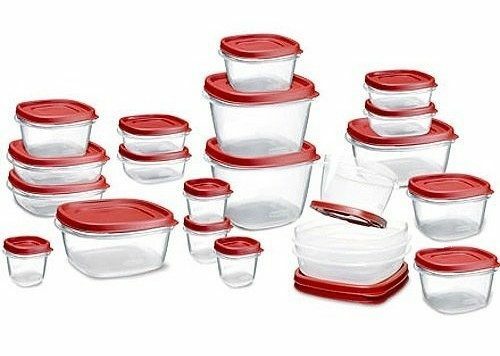 You are here: Home / Great Deals / Amazon Deals / Rubbermaid 42-Piece Easy Find Lid Food Storage Set Just $19.99! Been looking to replace those old plastic storage containers? Recycle those old containers and start with a clean slate! You can get the Rubbermaid 42-Piece Easy Find Lid Food Storage Set Just $19.99 from Amazon!